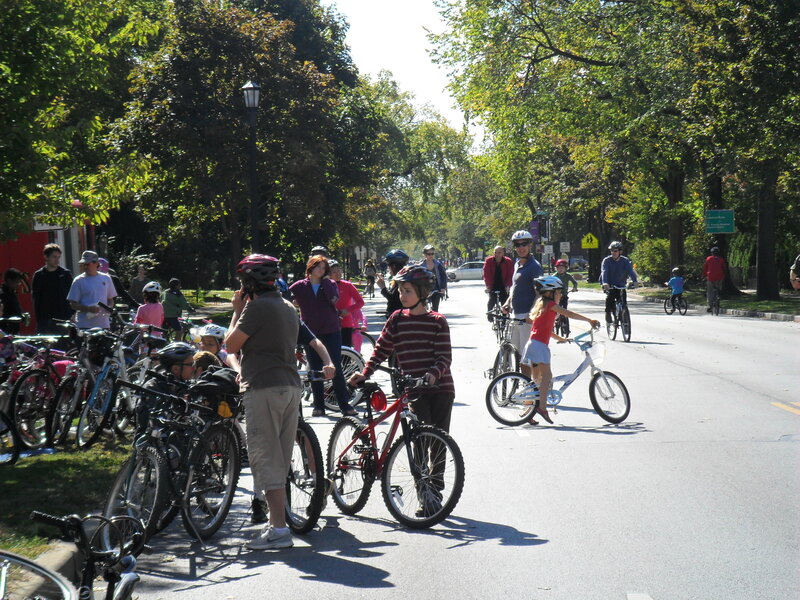 Director of the Governor’s Office of Management and Budget Jerry Stermer, Evanston Mayor Elizabeth Tisdahl, Evanston 8th Ward Alderman Ann Rainey and local officials will make a major announcement regarding bicycle transportation in Evanston at this Sunday’s “Bike the Ridge” event. WHEN: Sunday, September 28, 9:30 a.m.
Community members and bicyclists are encouraged to gather in front of the stage at Ridgeville Park for the special announcement. “Bike the Ridge” is a free, annual event that closes Ridge Ave. to all vehicular traffic between Howard and Church Streets. Learn more at cityofevanston.org/biketheridge.